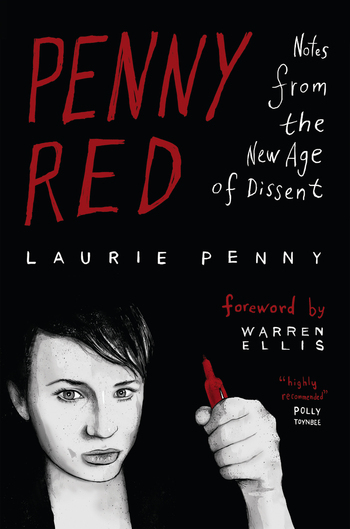 So I recently had the awesome privilege of illustrating/designing a book cover for Laurie Penny! If you don’t know who she is, you should read the things she’s been writing about the London riots. I had a lot of fun doing this cover- mostly because it let me do my two favorite things: drawing a pretty girl, and lettering type by hand. Now I have to run off and do more scrambling to get ready for APE. You can preorder Laurie’s book right here.